If you are 55 years or older and are considering taking the big step of moving into a new home in California, whether to downsize or maybe to explore a new community, Propositions 60 and 90 can make that move easier on your pocketbook. Proposition 60 is a constitutional amendment that allows the transfer of the base year value of your current primary residence to your newly acquired property of primary residence. Why is this significant and how can you benefit? First, let’s consider Proposition 13, also known as the People’s Initiative to Limit Property Taxation. Proposition 13 protects buyers from extraordinary increases in property tax by setting a base year value on the property. The base year value of a property is set for its assessed value in the year of 1975. If the property was acquired after 1975 then the base year value is set by the market value of the property at the time of transfer or change of ownership. Proposition 13 allows only the maximum increase of value by 2% a year. Additionally, property taxes cannot exceed 1% of a property’s full cash value. Proposition 60 is an intra-county amendment (in other words, moving within the same county), and it builds on Proposition 13. It allows for people the age of 55 and older to transfer their base year value to the newly acquired home as long as the newly acquired home will be the primary residence and is eligible for homeowner’s exemption or disabled veteran’s exemption. This is meant to prevent a shocking increase in property taxes and work as an incentive for people 55 and older to feel comfortable in their experience of reentering a perhaps, vastly changed real estate market. For Propositions 60 and 90, the transfer of the base year value must happen within a two-year period. This means that the homeowner must sell and buy a new residence within a two-year period. The replacement property that is acquired must adhere to the “equal or less than” current value rule. 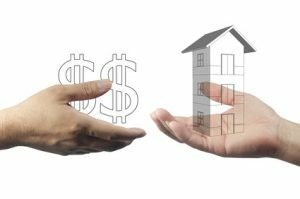 This limits the current value of the replacement home to be equal to or less than the current value of the former residence, even if you are buying only a partial interest in your new primary residence. Propositions 60/90 can only be filed once, even if you and your spouse who resides with you experience divorce or even upon the death of you or your spouse. One exception to this one time the only rule is if you filed once with the eligibility of age and then if you became disabled, you may file again due to disability. If you are thinking of doing a property exchange through Prop 60 or 90, there are additional in-depth information on the FAQ page on California Board of Equalization’s website. One of our top partner agents Tracey Thomas has also made an informational video on Prop 60 or 90, make sure to check it out here – CA Prop 60/90: Don’t Leave Home Without It. As with any other real estate transactions, having an experienced realtor representing you will help you navigate through this complicated area – good luck!